Every couple of years or so, I get approached by a friend or acquaintance excited about some great new product that they've just quit their job to sell. Curiously, instead of trying to get me as a customer, they're always more interested in offering me an opportunity to share in their good fortune by becoming a distributor. That's a big red flag that the business isn't legit, but a pyramid scheme. Such an operation is easy to identify, because its participants invariably profit primarily by recruitment rather than by the sale of goods or services to consumers. 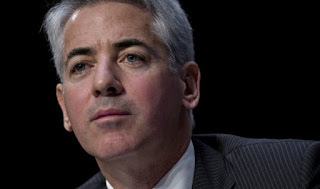 Directed by Ted Braun (Darfur Now), Betting on Zero chronicles the high-profile campaign of hedge fund manager Bill Ackman to expose the health food corporation Herbalife as little more than a multi-level marketing Ponzi racket. What makes the movie intriguing is that he was not necessarily acting altruistically, since he had also shorted Herbalife by placing a billion-dollar bet that the company's stock price would plummet. 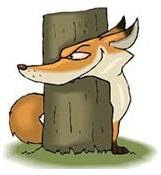 Nevertheless, the self-styled activist investor was still considered a Robin Hood in working-class circles, given his promise to disgorge any profits he might enjoy in favor of the unsophisticated, minorities who had lost their life savings in the ill-advised enterprise. The millions of victims were predominantly undocumented immigrants too afraid to report to the authorities how they'd been fleeced, for fear of being deported. To prevail on their behalf, Ackman first needed to convince the Federal Trade Commission that Herbalife was indeed a criminal enterprise. That would prove to be no mean feat, considering all the prominent individuals lobbying on behalf of the firm, from CNBC investment adviser Jim Kramer, to Donald Trump's "killer" crony Carl Icahn, to former Secretary of State Madeleine Albright, to ex-Mayor of Los Angeles Antonio Villaraigosa. For instance, there's billionaire Carl Icahn not only propping up Herbalife's stock by taking a huge stake in the company but he's even goes on TV to dismiss as "B.S." Ackman's pledge to give his financial gains from the short to charity. Ultimately, the controversial case is resolved in one side's favor, though it would be unfair for me to spoil the ending.